The course offers a practical exploration of the clown’s take on personal, social and political issues. From the third day onward, you will be taking your skills into real life situations – i.e. meetings, conferences or visiting different businesses and institutions. What is the right way for a clown to reflect, comment and play with the issues and problems they perceive in the world? 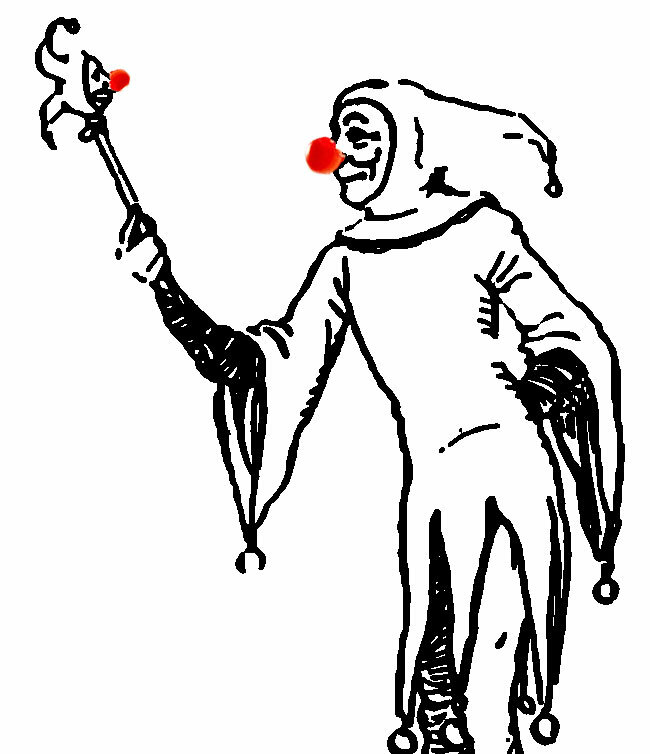 Unlike the buffoon (a close cousin of the clown but with an attitude problem), the clown transgresses in order to reclaim and celebrate life’s paradoxes. By fearlessly juggling with social, symbolic and archetypal references, the clown stumbles on and gently exposes truths others dare not or cannot speak out. The absurd reflection of ourselves and of the world that the clown offers us puts the human heart back at the very centre of our lives and of our institutions. In parodying the games of knowledge, power, truth and religion, we reveal not only the light and the shadows of our world but also affirm and celebrate our humanity. PRE-REQUISITE: This course requires participants to have followed done Clown 1, 2, 3. Or by personal check. Notify Laura for address. For more information or to register contact Laura Geilen. Information on local accommodations provided upon request.